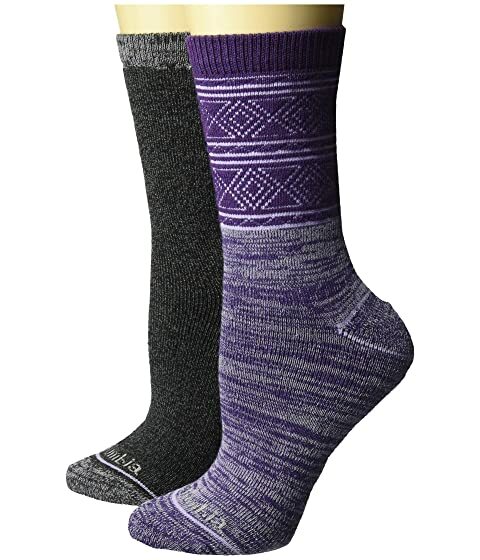 Take classic, alpine style from trail to town with the Columbia® Diamond Space Dye Crew socks. Crew socks in a mix of solid, heathered, and jacquard diamond pattern. Midweight knit in a smooth, soft blend of synthetic and cotton yarns. Light cushioning provides support through the sole. Jacquard logo across the toe. 75% polyester, 14% cotton, 8% rayon, 1% acrylic, 1% olefin, 1% spandex.